Only current members of the Hebridean Sheep Society can advertise to sell or loan mechandise/stock on this website. We are also happy to help non-members find Hebridean sheep by allowing them to advertise in the Sheep Wanted section. Please contact us, giving appropriate details and contact information, along with a note of your Flock Prefix and Flock Registration Number. 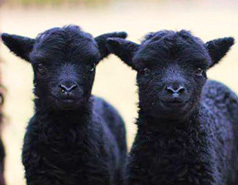 All sheep advertised must either be registered or Birth Notifiedwith the Hebridean Sheep Society . Advertisements will stay on the website for a maximum of thee months from date of publication unless otherwise requested by the vendor.